The Aeropress is a unique way of making coffee where water and coffee grounds are mixed together for around 15 seconds, to create something very special. After the water and coffee grounds are well mixed, the mixture is left to set for 2 or 3 minutes, and then some gentle air pressure is used to push the mixture through a micro-filter. The filtration takes only 20 to 30 seconds, meaning you can make a perfect cup of Joe in less than 5 minutes. Yes! You have read correctly. All it takes for you to make a perfect cup of Coffee is 5 minutes of your time. Sounds cool, right? If this made you interested, stay with us to find out more about the Aeropress. What is the difference between the French press and Aeropress? How to make an Aeropress Latte? First, let us explain some key differences between the French Press and Aeropress coffee makers. Although both the French Press and Aeropress have ‘press’ in the name, they work very differently. Both the French Press and Aeropress are very simple coffee brewing devices that only use few parts. This simplicity is what it makes these devices easy to clean, use, and maintain. French Presses are usually made of a metal frame, heat-proof glass carafe, plastic or stainless steel lid and a metal filter attached at the end of a rod. Aeropresses are built with even fewer parts: a brewing chamber, plunger, and filter cup. They are usually made of mixture of materials, including plastic, glass, and stainless steel. Both the Aeropress and French Press are incredibly easy to use and clean. To put it simple, the coffee grounds and water are mixed together for a short period of time before they are filtered. When it comes to brewing with the French Press, you immerse and mix coarse coffee grounds with hot water in the glass carafe. After 3 or 4 minutes, you plunge the filter, pour the coffee in your cup, and enjoy. The Aeropress adds one more element into the brewing process – pressure. When it comes to brewing with the Aeropress, you immerse and mix coarse grounds with hot water in the brewing chamber. After 1 – 3 minutes (depending on your grind size), you press down the plunger. The plunger generates a lot of pressure which eventually forcess the coffee through the filter. Both the French press and Aeropress have their advantages when it comes to versatility. The French press lets you make great hot coffee, but only in one way. However, the French Press can also be used as great carafe for making cold brew coffee or brewing pour over coffee. On the other hand, the Aeropress is capable f making hot coffee in several different ways. It can help you make coffee that’s heavy and bold, coffee that’s light and crisp, or even coffee that’s very similar to regular espresso. Ok, you are a big fan of latte and you have an Aeropress? Then, it’s your lucky day as we are about to explain you how to make yourself a delicious Aeropress-style latte. You have all the ingredients? Yes!? Brew your favorite coffee with your Aeropress. Let your coffee sit in our Aeropress for several minutes. Make sure you keep the lid on so the heat stays inside. Next, you need to froth some milk. Froth your milk until it becomes rich and foamy. Of course, you can skip this step if you are not a big fan of frothed milk. Put your Aeropress on top of your mug or glass of milk and press your coffee slowly into oyur milk. Let the coffee slowly integrate into the beverage. That’s it! You’ve made yourself a perfect cup of Aeropress-style lattee. To find out more recipes about making Aeropress-style latte or Aeropress-style Mocha, you can visit our How to Make an Aeropress-style Latte page. 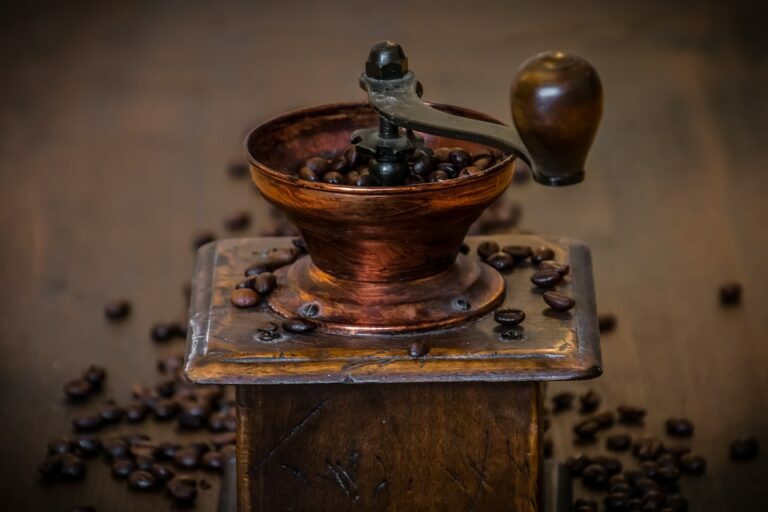 In order to make a perfect cup of coffee, we encourage you to get a high quality coffee grinder. Some coffee grinders are specifically designed to be used with Aeropress coffee makers. So, if you have an Aeropress and you are interested in making a perfect cup of your favorite brew, you will be interested in reading our top picks for the best coffee grinders for the Aeropress. To read our detailed reviews of these amazing grinders, please click here for the best coffee grinders for aeropress. The Aeropress coffee filters are one of the most important components of this brewing method. To put it simple, choosing the right filter can make r break your cup of coffee. If you use the wrong filter, your coffee will be too weak, too grainy, or just tasteless. When it comes to the Aeropress filters, you have two options to choose from – steel and paper filters. Unlike the metal filters, the paper filters can eliminate most of the coffee oils. By eliminating the coffee oils, you can make a low cholesterol beverage. The paper filters can also remove the fines from your cup, leaving you with a perfectly smooth beverage. If you are a drip coffee enthusiast, these filters are ideal for you. Metal filters can be used for years if cleaned regularly. They are usually very hard to bend or damage. Metal filters allow more oils and let you brew a full-body cup. If you are a fan of a stronger coffee, these are the filters you need to buy. If you are still not sure what filters to buy and use, you can visit our Aeropress Filters comparison review page to read more. Cool video, right!? Thanks for reading!